Door Boy is a full service garage door company serving the great city of Summit, New Jersey. 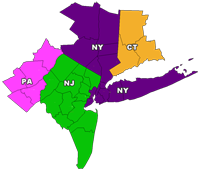 We have been serving the northern New Jersey and Summit area for 40 years and take pride in our garage doors. We only use the highest grade garage door parts and only the most qualified technicians to install and repair any garage doors. Since garage doors take a beating over time, Doorboy will also help you to maintain them so you can extend the life of your garage doors and not have to be concerned with replacements.